Ready for a full review of Hubspot as a email marketing platform? By the end of this article, you’ll have all the details on Hubspot. Let’s dive into our review of Hubspot as an email marketing platform. But today, we’re digging into one feature specifically: it’s email marketing capabilities. In this article, I’ll review some of Hubspot’s most important email and lead capture features, a few drawbacks, and how to know if it’s the right tool for you. Hubspot is an extremely popular tool aimed primarily at small business. It was built on the idea that customers are now in control of the marketing process, and instead of interrupting them, marketers need to focus on attracting them. It’s an impressive list, and according to Marketing Automation Insider, Hubspot owns 41.6% share of the small business automation market, making them the leaders of the pack. but the purpose of this article we’ll hone in on email specifically. Why? For one, because email marketing has an ROI of 3800%. Not only that, but it’s still can be more effective at acquiring new customers than Facebook or Twitter (in some cases), despite it being so old school compared to social media. When it comes to email specifically, Hubspot offers a variety of services to its users – all conveniently offered through its email dashboard. Edit columns to show metrics like bounce rate, delivery rate, etc. As with most email automation tools, you can quickly create branded emails through the platform. The good news here is that no coding experience is required, and you can choose from dozens of Hubspot templates. Or, create your own with its easy drag-and-drop interface. Of course, email creation is just the tip of the iceberg. The true value of any email marketing tool lies in its ability to automate the contact process for you. Workflows take the manual labor out of emails. You list the conditions and enrollment triggers, and once a contact meets the trigger, an email (that you’ve already created) is automatically sent out to them. Start from scratch – enrollment is triggered as soon as a contact meets the enrollment triggers of the workflow, and actions and delays are executed in relation to the previous action or delay. Workflows can also be triggered by manually enrolling a contact or static list of contacts. Center on a date – enrollment is triggered when contacts meet the enrollment triggers of the workflow, but actions revolve around a specific date, such as a webinar, conference, or holiday. Center on a date property – enrollment is triggered when contacts meet the enrollment triggers of the workflow, but actions revolve around a contact date property, such as a trial expiration date, renewal date, or birthday/anniversary. Hubspot Email Marketing Has 3 Types of Workflows. The workflow you choose will ultimately come down the goals of your individual campaigns, and you can have multiple running simultaneously. So, you can use it to trigger an email following a form submission, have emails sent to contacts on their birthdays with personalized offers, send a series of emails with helpful tips, and send reminder emails when important dates are approaching. All at the same time. Other triggers you can set include page views, social media mentions, and much more. When it comes to improving your open rate odds, personalization is the way to go. In fact, 74% of marketers say targeted personalization increases customer engagement, and emails personalized subject lines are 26% more likely to be opened. Hubspot’s no stranger to these numbers, and includes expansive email personalization features. When creating a new email, Hubspot gives you the option of including a personalization token. The token works with your email list by looking into the contact history of everyone set to receive that email. You’ll add it in as you upload and edit your email in the email editor. For example, say you want to personalize the recipient’s name. If your subject line reads “Hi friend,” you would select the word “friend,” and click the Personalization Token button in the toolbar. From the dropdown menu, select “First name” and click Insert. Now, all of your emails will automatically insert the recipient’s first name into the email. But there’s much more you can do with personalization tokens, and lets you target your email communication based on lead activities, personas and behavior. Using the information stored in your contact records, you can target and personalize based on the most effective subject lines, links, content, and calls-to-action. Hubspot also features a “Make Smart” button. The difference between a smart email and a regular email? Personalization. The rules will recognize someone who has visited or interacted with your site, and instead of opening a generic email they’ll see one with their name on it instead. A step this simple could have a major impact. Hubspot reports that content with a personalized call to action does 42% better than generic calls to action. Example of personalized Smart Content on Hubspot’s homepage. Hubspot doesn’t leave you to collect all your leads yourself. Instead, it uses powerful lead capture techniques to help you. And get this – some of it’s even free. 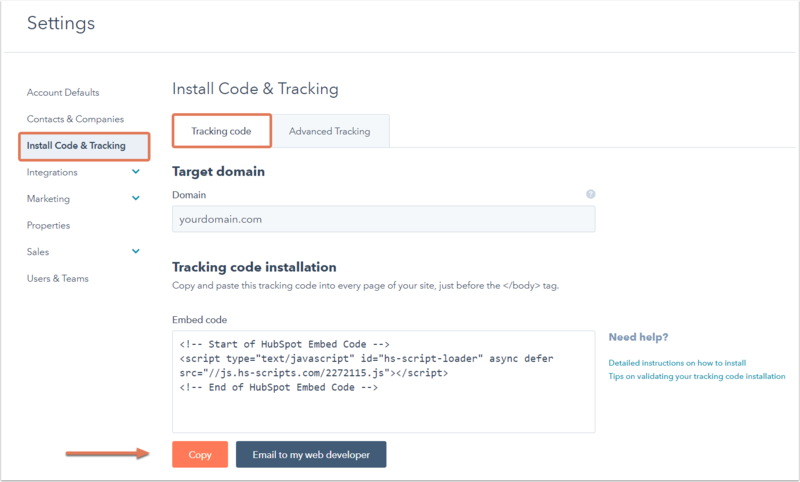 To use Hubspot’s free marketing tools, you’ll need to install a tracking code (find out how here). Once you’ve done so, you’ll be to use pop-up forms that overlay your webpage when someone visits (Hubspot refers to these as Lead Flows). HubSpot’s Email Marketing Tracking Code. These serve the purpose of any opt-in form; namely, to collect email addresses and contact information, in return for a subscription to your blog or free download. But an email isn’t all you’ll get. As soon as a contact supplies their information, Hubspot will start collecting comprehensive data about who they are, where they work, their social profiles, and what website pages they’ve visited. Each time they visit your site (even before form submission), you’ll be able to track what pages they viewed, and each subsequent time they visit the timeline will continue. These insights will not only give you valuable information, but valuable opportunities. If you see that someone frequents your blog, you’ll know to send them related updates. Or, if someone has spent time on your products or pricing page, you can send them personalized offers or discounts to help push them down the sales funnel. Landing pages can be created easily with Landing Page App, and new customers will have templated created for them based on the look of their existing website. Why does the viewer need the offer NOW? How does the user get the offer? With those answers in mind, you’ll create your page (read here for full instructions). Once the page is created, you have the option to add them to a workflow and send a follow-up email. This is an incredibly good option, as it allows you to automatically assign new submissions to a workflow designed specifically for new leads. Then, Hubspot will begin sending them a series of lead nurturing emails associated with that workflow. Or, you could assign them to a workflow designed around that particular download. Creating and using a form can be done in the Hubspot form editor (full directions here). These forms work with Hubspot tracking code, similar to the pop-up overlays. As such, they can collect more comprehensive lead data like which pages they visited and how they found your site. So you’ve collected your leads and incorporated them into a workflow. But how do you know which leads are serious about your product? By assigning them a lead score. The cool part about it? If you use Hubspot, they’ll assign lead scores for you. Through it, you can better determine the quality of a lead – how engaged they are, and when they’re ready to be directed to your sales team. Fair warning: It’s called Manual Lead Scoring, and it does require some work from you up front. You’ll first need to decide and define which qualification criteria you want to use to score your leads (see the categories above). Then, you’ll need to assign a numerical value to each criteria. For example, you can choose to assign link clicks within an email a higher value than email opens. For added assurance, you can test the effectiveness of your criteria against a known Hubspot contact. Pick a lead that you think is very qualified (a previous buyer) and one less qualified, and look at their scores based on the criteria you entered. If the very qualified lead draws a bad score, you’ll know to tweak your criteria and their values before continuing. Once you’ve settled on and input your criteria, you’ll create a smart list that enables Hubspot to keep track of contacts that meet your designated score (directions here). Clicking save will turn on Manual Lead Scoring, and Hubspot will apply your criteria to your entire database, and you’ll be able to find each contact’s lead score in their contact profile. The smart list also enables you to see a list view of your most qualified contacts. These leads can put into their own workflow, and emails can be sent accordingly by your sales team. As always, the proof is in the analytics, and Hubspot has no shortage of those. You can find specific analytics related to email in your email dashboard. Hubspot Email Marketing Analytics Dashboard. 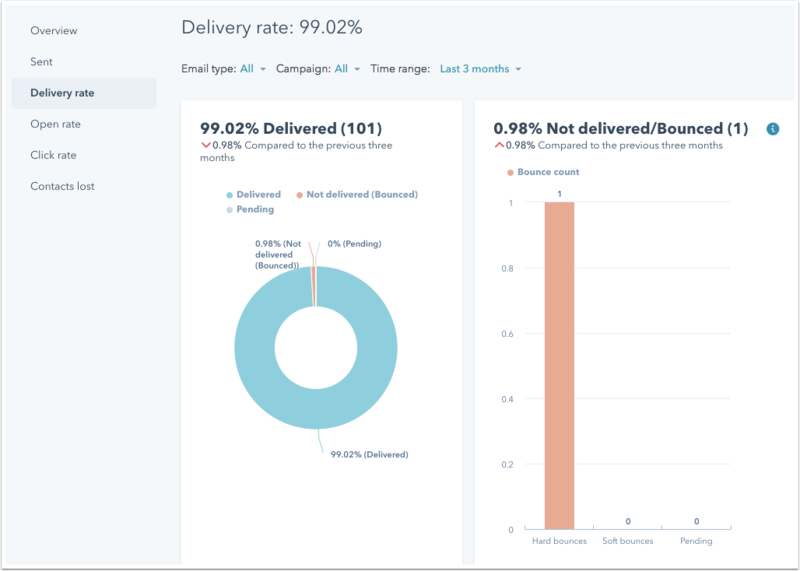 When you first navigate to the dashboard, you’ll be shown a list of all your emails with their open rate percentage. To dig even deeper, click on the Analyze tab. You can sort this information by email type, campaign, or time range, and you’ll be shown the delivery rate, open rate, click rate, and percentage of contacts lost. There will also be separate tabs dedicated to click rate, delivery rate, etc., so you can see which emails perform best historically. You can also monitor the effectiveness of your landing pages through number of views, form submissions, new contacts and conversion rate. Naturally, the question arises: how does Hubspot’s pricing stack up against the competition? Quite well, compared to major competitors like Marketo, Pardot, and Eloqua, which all have a starting price point of at least $1,000. There are, of course, more affordable options available, though they generally do not all include the same capabilities that Hubspot does. Also keep in mind that Hubspot does offer a free plan, which still covers creating and sending emails and measuring their effectiveness. More advanced features won’t be included, but it’s a good way to preview and start with the system. So, is the price worth it? The answer will depend on just how much marketing you need your automation tool to do. To get full email marketing capabilities, you’ll need to spring for at least the Basic plan. No review would be complete without at least addressing a few of the cons. The first? Your price will inevitably increase. Though each plan starts at a designated price point, your price will incrementally grow as your database does. That means that for every 1,000 new contacts you add, you’ll incur a small premium charge from Hubspot (depending on your package, it will range from $10-$100). The good news, of course, is that increase means your efforts are working and your contacts are growing. And keep in mind, the new leads will likely pay for themselves if all goes well. And here’s a big one: no A/B testing, unless you opt for their Pro or Enterprise pricing. 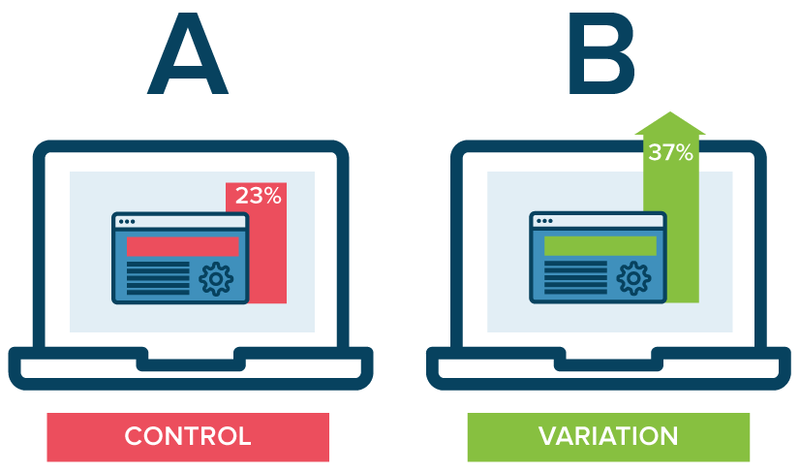 As any marketer knows, the ability to split test different elements of an email is key in the optimization process, and something to seriously consider when choosing your Hubspot plan. Other features like Manual Lead Scoring are also only available at the Pro and Enterprise level (in conjunction with the CRM integration). So again, if these advanced are important to you, you’ll be looking at a heftier price tag. Is Hubspot Email Marketing Right for Me? But when combined with its CRM integration and full marketing automation, it stands a head above its competitors in terms of price to performance. Now there are other methods to simply replicate the functionality of Hubspot. For example, a combination of Sumo and MailChimp should take care of it and then you can have a site built a bit more firmly on WordPress. So for anyone just getting their feet wet with email or marketing in general, it’s ok to start small with an email-specific platform. Once you see success and are ready to expand your marketing capabilities, head on over to Hubspot.